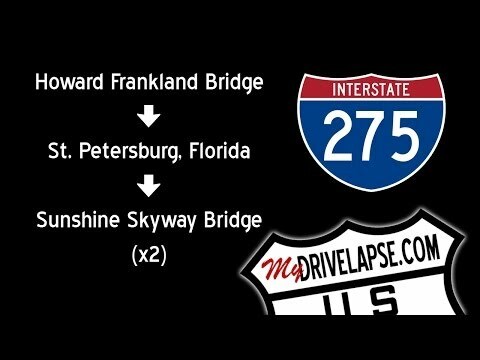 This drive takes you through Pinellas County, St. Petersburg, Florida, on Interstate 275. The drive begins at the edge of Tampa, and crosses the Howard Frankland Bridge across Tampa Bay. It then passes through St. Petersburg, and end with not one, but two drives across the Sunshine Skyway Bridge (once in each direction – the second one is the best).